Hey everyone! 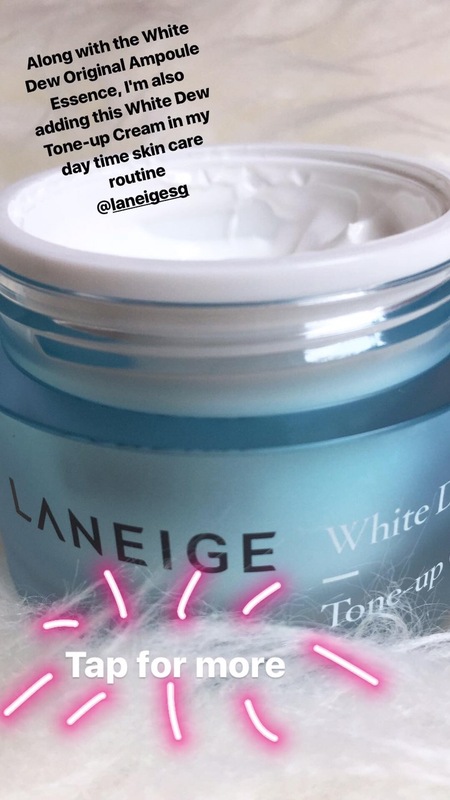 Today, I’ll be introducing a new skincare series from LANEIGE and it’s called the WHITE DEW Line. 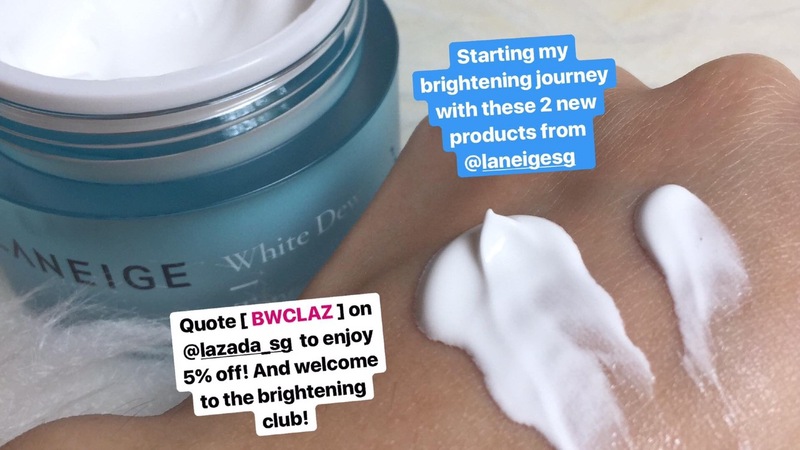 My previous day time skincare routine has finally come to an end (I’ve finished using them), so of course, this is a good time to test the new White Dew series! 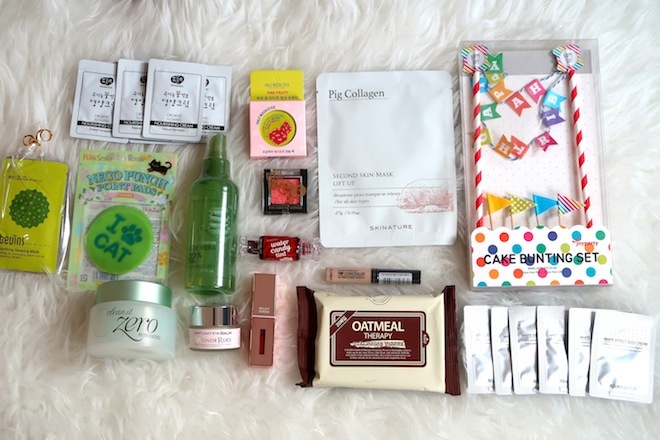 There are 7 products in this series but I will only be talking about 2 of them today! This White Dew series is a patented moisture whitening line targeted at reducing spot formation. 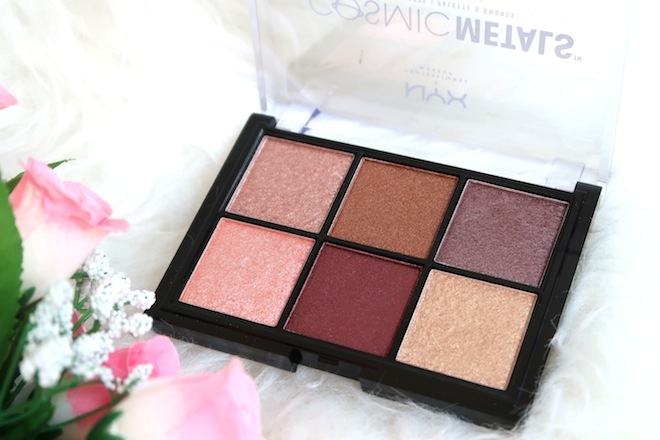 Basically, this series helps to shed dull uneven skin and at the same time, brightens up your skin complexion. 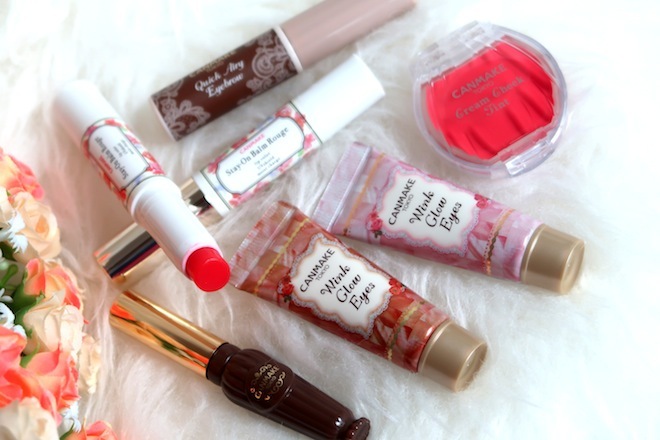 This does not mean that your skin tone will become fairer, but more of a clearer and brighter skin. Since your skin is less dull, it means your skin is clearer and brighter, so it feels like your skin became fairer. I just wanna make sure that you do not misunderstand and expect your skin tone to change from medium to fair. Just to quickly share that this series uses natural ingredients, mainly Mela-Vita Crusher and Phyto Sugar Water. I am not gonna bore you and myself with the science. I’ll put the link HERE, so if you’re interested in the specs, you can read them from Laneige’s website! This essence contains Vitamin C, which improves skin clarity. If you are new to skincare, I highly recommend you to incorporate ESSENCE/ SERUM into your skincare routine. It is like a “primer” before “foundation” in my opinion. Primer helps foundation application better. Likewise, ESSENCE helps your skin to better absorb all the goodness from your moisturizer. 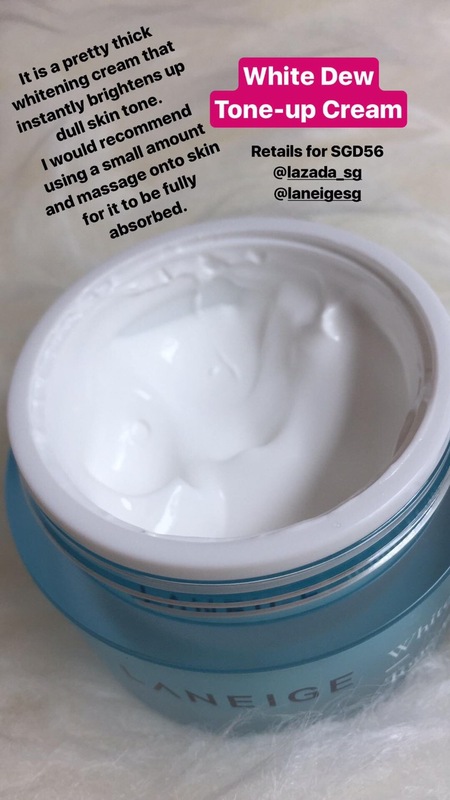 I have tried the older version and I used like 2-3 bottles previously. 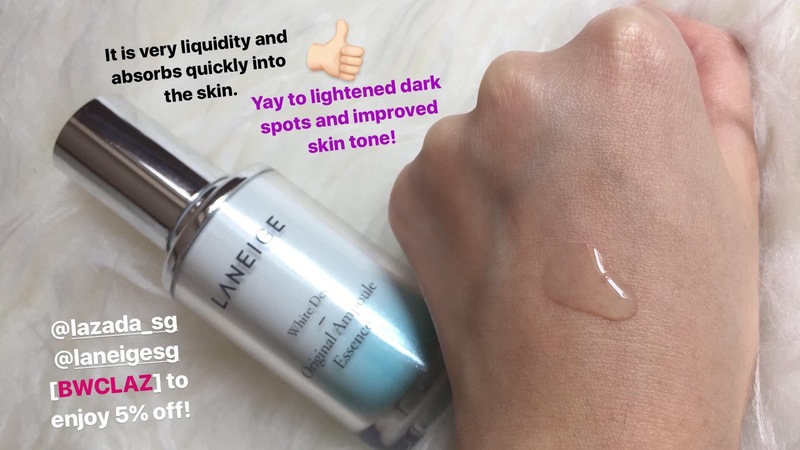 So when I found out Laneige has released a new and improved version, I was so excited to try it! This is a day moisturizer that has a moist but matte finish to instantly brighten the skin. Like I’ve mentioned earlier, the essence helps your moisturizer to be better absorbed into your skin. So, to use these 2 products effectively, you need to use these 2 together for a more successful brightening effect! I will be testing these 2 skincare products diligently and will update once I have finished using! So far, I am really liking the White Dew Original Ampoule Essence a lot more. 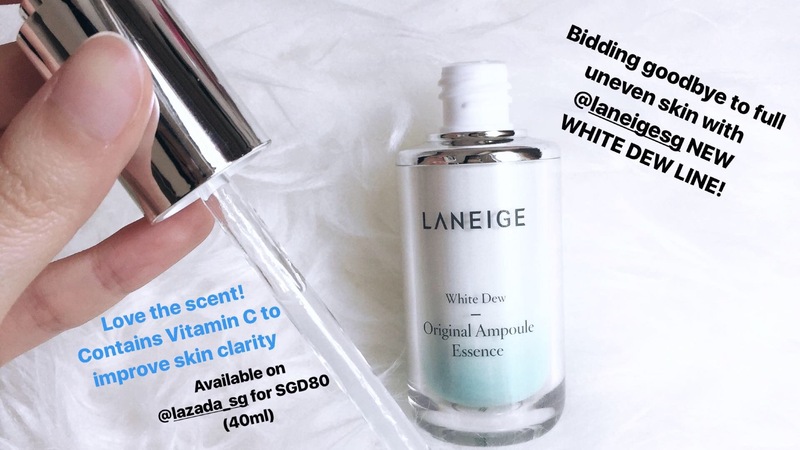 The entire White Dew line is currently available at all Laneige Boutiques, counters and Lazada! if you shop on Lazada.